After last weekend's record early openings at Gore and Whiteface, I'm calling this Bonus Weekend #2. It's really great seeing the ski areas getting a strong start to this season after having struggled to get open for Thanksgiving the past few years. We arrived at the mountain mid-morning and endured a half hour of pain picking up our season passes (arrgh!! ), but the delay may have worked in our favor as the skiing only improved during the day. 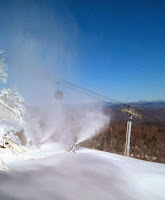 Warm temperatures on Friday followed by an overnight freeze locked up the snow surfaces, but skier traffic, a few snowmaking guns and some natural snow mixing in seemed to make each run a little bit nicer than the one before. We decided to take advantage of Whiteface's earliest-ever opening and headed up on Sunday to kick off our 2013-14 ski season two weeks early. While it wasn't much of a day for taking pictures, the skiing turned out to be quite good and the day stayed at least mostly dry. 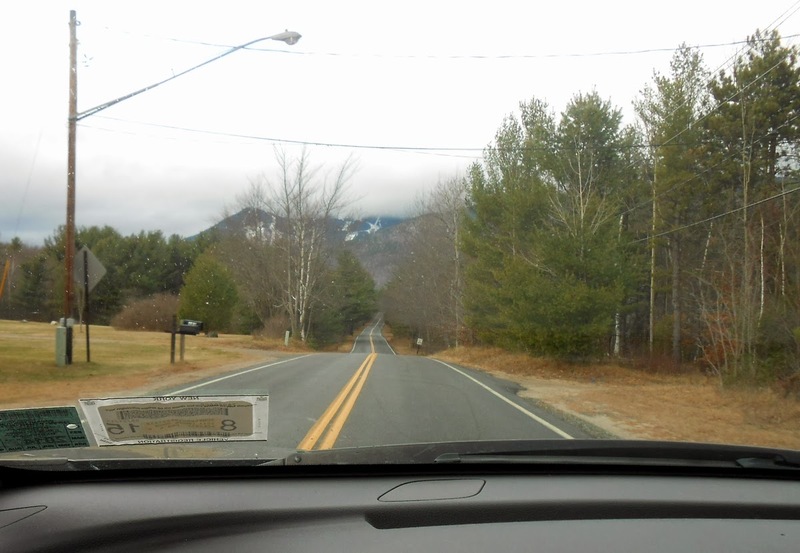 The drive up from Saratoga wasn't very inspiring: low clouds, occassional mist and temperatures in the mid-40s. But north of the High Peaks the cloud deck lifted, and as we approached Whiteface most of the mountain was visible below the clouds. The ski season may be here sooner than you expect. 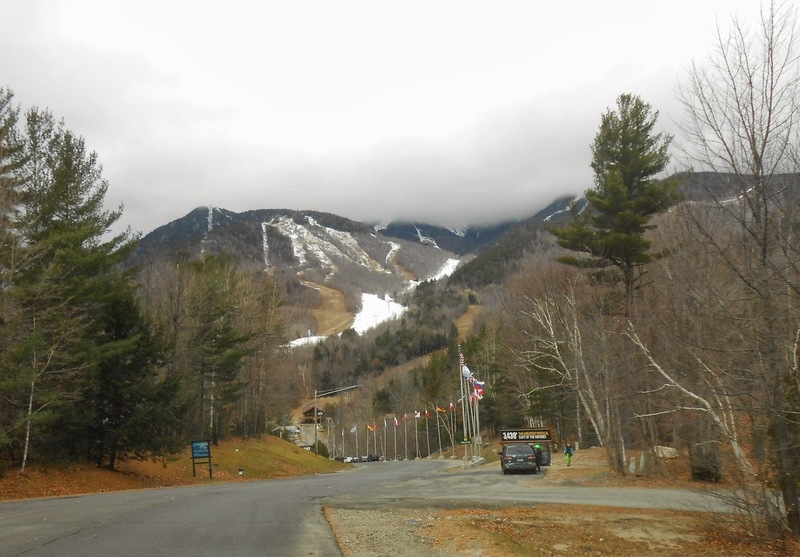 Cold temperatures over the past several days have allowed snowmaking crews at Whiteface to get enough of a jump on the season that they may open this weekend (watch their website and Facebook page for updates), nearly two weeks earlier than their target opening date of November 29. Crews at Gore have begun snowmaking operations as well, no word yet as to whether they'll be able to move up their opening date. The idea of a nighttime bike race through the woods really isn’t quite as crazy as it might sound. After all, the proliferation of relatively inexpensive high lumen bike lights has made night riding commonplace, extending the season right up to winter (much to my wife’s chagrin). A nighttime race is just the logical next step.